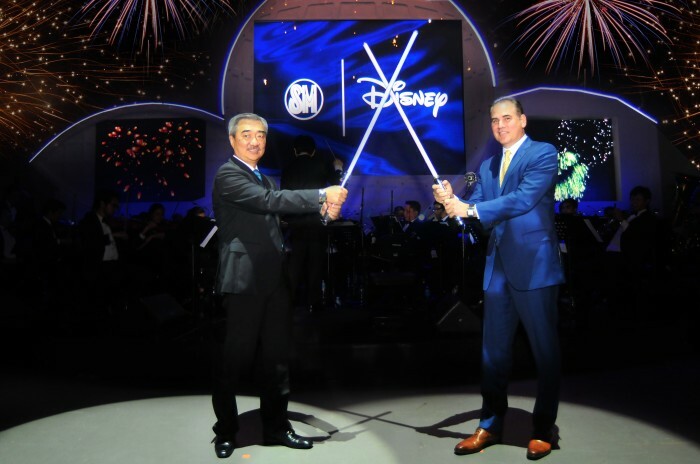 The SM Group announced a collaboration with The Walt Disney Company Southeast Asia to bring the Disney brand of stories closer to Filipinos through mall, retail, entertainment, and amusement opportunities. The two companies aim to bring Disney, Marvel, Pixar, and Star Wars brands to life through unique Disney experiences at SM’s many leisure and entertainment properties. Fans can look forward to a host of innovative offerings including Disney branded events, promotions and other unique experiences themed around fan-favorite Disney brands and characters. SM has synergised the efforts of all its subsidiaries – including SM Supermalls, SM Markets, The SM Store, Toy Kingdom, and its lifestyle and entertainment arm, SM Lifestyle Entertainment, Inc. – to produce a complete and one-of-a-kind Disney experience for its patrons: from the moment they enter the mall to watch a movie, to the time they purchase their favourite snack and Disney merchandise. Patrons can also take their SM Cinema and Disney experience with them home, or wherever they go, through the newly launched Blink app. To officially jumpstart its formal bond as allies, SM and Disney will be launching a “Star Wars Galactic Christmas” to welcome the latest instalment of the movie, “Star Wars: The Force Awakens.” The exhibit will include life-size figurines of characters from the movie, interactive games, and official merchandise from the SM Store and Toy Kingdom.